Anti Aging Skin Care Products! Become a Preferred Customer today. and choose to become a Preferred Customer. As a Primary School Teacher, I became increasingly concerned with my health and the health of my little students. I began my search to find the very best nutritional supplements to maintain my health. I also wanted to find the very best children's product to maintain the health of the children I loved. Then I was introduced to USANA HEALTH SCIENCES! I decided I would definitely trust my health to USANA! 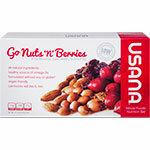 I have been using USANA nutritional products since my retirement from teaching in 1998 and have never felt better! I have greater energy and am confident that I am nourishing my cells with the finest Science-based health products available. That gives me great peace of mind! 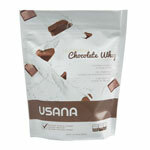 In the field of science and nutritional medicine, USANA is definitely leading the way! The True Health Assessment will help you get started. 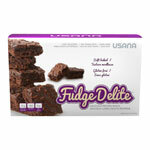 USANA's Healthy Foods are certified low-glycemic and provide balanced approach to nutrition. The great-tasting bars and Nutrimeal™ drinks make healthy choices as convenient snacks and meal replacements. For beautiful, healthy, youthful-looking skin you must check out the extraordinary SENSÉ Beautiful Science anti aging skin care products! With USANA Health Sciences' patented self-preserving technology, SENSÉ Beautiful Science products contain no paraben preservatives. As USANA nutritionals support healthy skin from within, SENSÉ skin care products protect, and revitalize with nutrients applied directly to the skin. USANA's business model, with its award-winning compensation plan, can make a significant difference in your wealth, and can give you the freedom you have always wanted! Be sure to view the Health & Freedom Online Presentation (Click on the link at the top) Sharing the message of USANA can become a very lucrative home business. To join our team of USANA Associates - click Online Enrollment and follow the easy steps to become a USANA Distributor. To purchase products at wholesale price become a Preferred Customer. Establish an Auto Order (products you wish to receive regularly each month) and you will receive an additional 10% off the preferred price. If you wish, you may also place orders by telephone. You will find that the USANA Operators are very helpful. I look forward to helping you become a successful USANA Distributor or a satisfied USANA Customer. Please contact me personally! Please tell a friend about www.glowinghealth.net and be sure to add this site to your list of favourites.